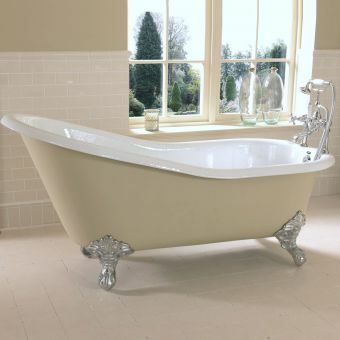 Delivering a bath tub of grace and elegance, prestigious designers April present the Kildwick back-to-wall freestanding bath tub. 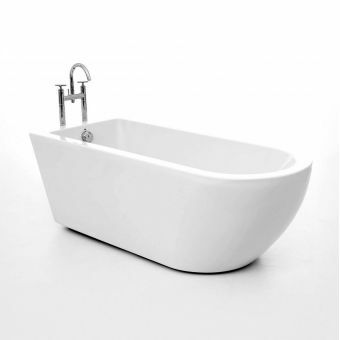 With one edge flat sided, the Kildwick is can be easily fitted flush to a wall, or left free-standing as your own design brief required. 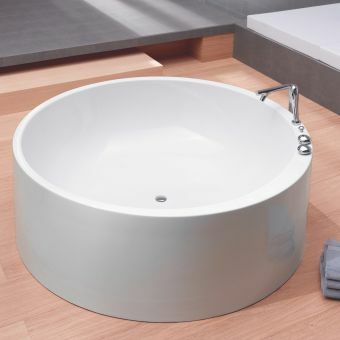 Incorporating a flat surface deck into the rim, this tub has the option to be fitted with deck-mounted fillers or mixer taps. 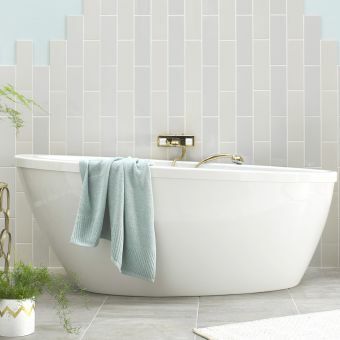 The option to fit the tub with any of the dedicated feet sets allows for adding a finishing flourish to the piece, customizing it to your own particular tastes. 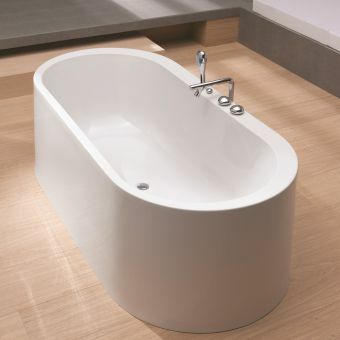 Ergonomically designed interior slopes provide comfort and support, allowing you to unwind in style. 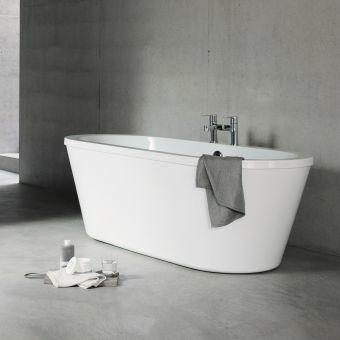 Please note that the bath filler and waste are not included in the price but can be bought separately. Photo is for illustrative purposes only.